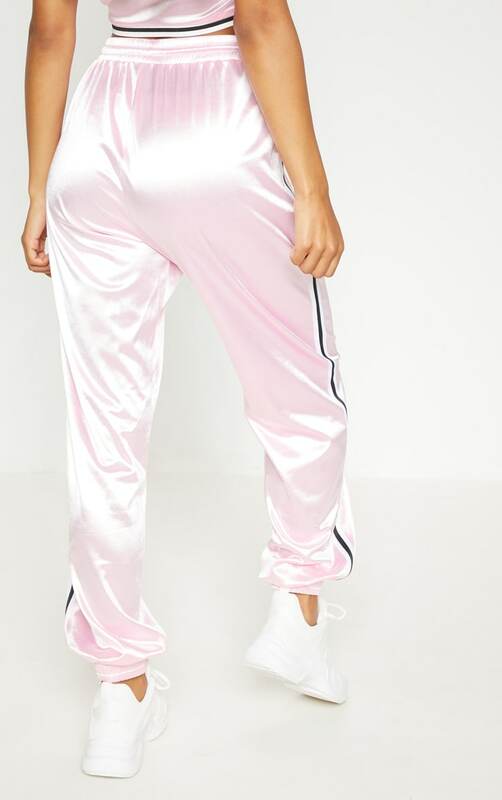 Take joggers to the next level with these girl. 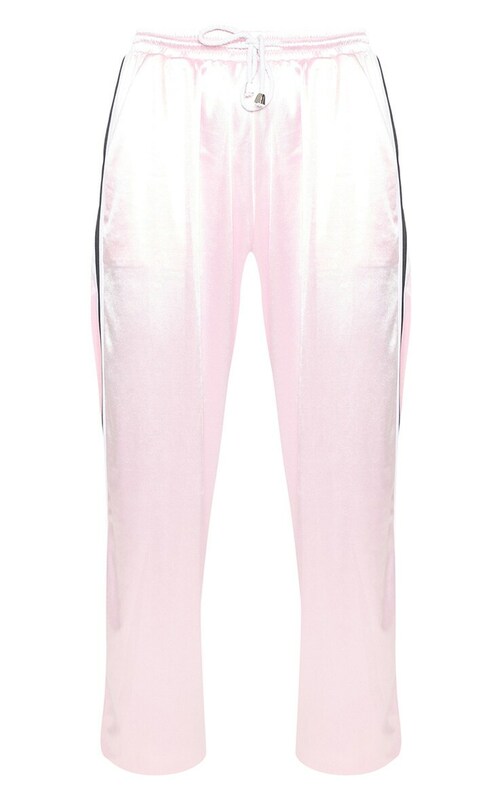 Featuring a pastel pink hue, soft satin fabric and stripe trim details on the elasticated waistband and cuff. 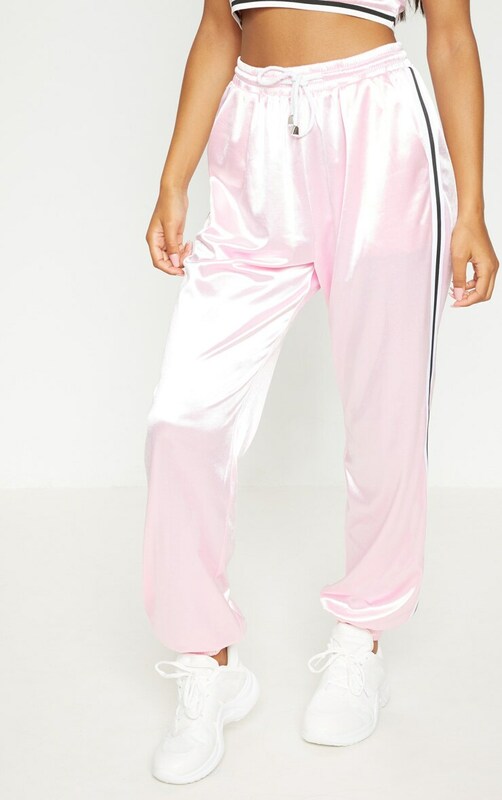 We love these styled with the matching satin crop to earn serious co-ord style points.